As a lifelong student of management and leadership, I have been fascinated with power, and more recently, authority. In my career I learned some lessons about the application of power. I spent twenty-five years accumulating power only to learn I had to be very judicious in its use. I painfully discovered that power is always corrosive to relationships. If you can only get someone to comply with your wishes because of the power you wield, look out. You will breed resentment, and, at the most, get compliance instead of enrollment. It might be helpful to begin by defining Power and Authority. 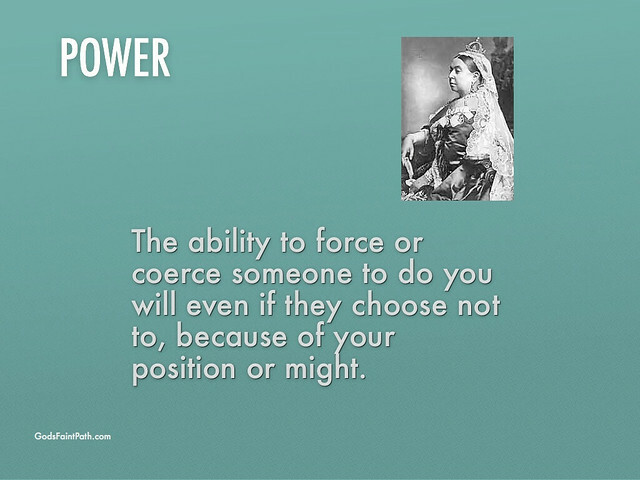 Power is the ability to force or coerce someone to do your will even if they choose not to, because of your position or might. 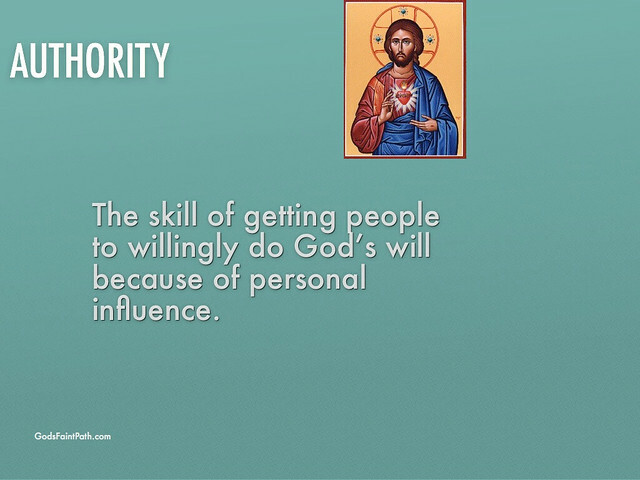 Authority, on the other hand, is the skill of getting people to willingly do your will because of personal influence. Power can be exerted by the use of force or violence. Authority, by contrast, depends on the acceptance by the people of an organization of the right of those above them to give them orders or directives. So, formal power is conveyed from above, but authority flows from the followers, from below. For most of my career, I was ambitious, driven to succeed. I was looking for the next promotion, yearning to reach the top. For fifteen years, I worked with my father and brother, first in operations, then in sales, then sales management. Upon our father’s death in 1990, my brother and I took over the family business. We could finally cast a new vision, implement our ideas and prove ourselves as managers and leaders. Over the next decade, we built a learning organization, growing from 80 to 325 people spread over eleven locations. When I began to study with Robert Fritz in 2000, I learned that my ambition was rooted in a misplaced identity, a need to prove myself. These motivations manifested themselves in a need for power. I first got a hint of my motivations when I studied Organizational Behavior in my EMBA. We looked at the Imposter Phenomenon. People operating from this posture feel like they really are not competent for the job they hold, and are afraid they will be found out. This was the source of my drive. I was trying to move away from a negative self image. One of the other theories we studied was Needs Theory, coming out of the work of David McClelland at Harvard. Daniel Goleman, who has done seminal work on emotional intelligence, was a research assistant to McClelland. People who are achievement-motivated typically prefer to master a task or situation. They prefer working on tasks of moderate difficulty, prefer work in which the results are based on their effort rather than on luck and prefer to receive feedback on their work. For sales people with a high need for Achievement, a good year will be one in which they sold more and made more money by improving efficiency, and working less. People who have a need for affiliation prefer to spend time creating and maintaining social relationships, enjoy being a part of groups and have a desire to feel loved and accepted. People in this group do not typically make effective managers because they worry too much about how others will feel about them. This motivational need stems from a person's desire to influence, teach or encourage others. As an example of the need for personal power, most corporate leaders seek high level positions so as to control the direction in which their company is moving. This theory did not address what was powering the motivation. I was a Need for Power guy. I needed to control my environment in order to prove myself. Most good sales people I have met have a strong need for Achievement. People with this motivation will seek to achieve more each year, achieving their goals with less work as they get better. Where I see managers with a high need for Affiliation (need for approval from others, to be liked), I often see a real struggle holding people accountable. Rarely will someone in this posture fire someone for poor performance. Where people with a high need for Achievement will seek the easiest path to their goals, those with a high need for Power are always looking for the next opportunity to move up, to increase their responsibility and authority. In further understanding power, we studied French and Raven’s Five Bases of Power: Coercive, Reward, Legitimate, Referent and Expert. Coercive Power seeks compliance, often using threats of demotion or firing. It is a fear-based form of power. Reward Power is often seen in politics, where people are offered a reward for supporting the policies of the leader. Parents often use this with their kids. Legitimate Power or Position Power describes power that comes with a position in an organization. People understand that the position carries with it the power to reward or punish within the range of authority in the position. For example a judge can legitimate order an execution for certain crimes, but a mob killing the perpetrator would not be legitimate. Referent Power is held by someone we look up to, whether a pastor, a wise elder or a loved parent. These people have the power to extend or withdraw approval for our actions, which can be a strong motivator. Expert Power is held by those who possess expertise not common in an organization. The IT wonk has power because no one else understands how to do what they do. See a detailed explanation here. As a student of leadership and management, I learned how to take hold of the levers of power in my work and in my church. In the decade of the ‘90’s, I did just that. I soon began to learn the limits of formal power. At work, I had the power to reward and punish, to hire and fire. Each time I used the power to punish or terminate, I found consequences followed. If a decision was not viewed as fair by the people, morale declined. I soon learned that working with talented, high-potential employees was much like working with volunteers. These people had options. My competitors would love to hire them. So, I learned that trying to push too far, to exert too much power, was to invite those people to consider their options. The ability to fire someone is a big hammer. Short of that, persuasion became a better option. I learned to use influence to bring people along. As we built an empowered learning organization, developing shared vision helped get full enrollment of the people. This was a much more powerful dynamic that a fear-based organization where people comply to keep from getting fired. So, I learned to follow Teddy Roosevelt’s maxim, walk softly and carry a big stick. The stick was my formal power, the fact that people knew I had the power to hire and fire. Learning not to use the stick except as a last resort made the development of a trust-based culture possible. I learned similar lessons in church. I became president of my Lutheran church during a time of stress. We were finishing out a $2M building project, but were stuck as an organization. I brought simmering conflict to the surface so it could be resolved. I worked with the Pastor and Mutual Ministry committee to discipline our Music Director. His failure to improve his behavior resulted in a decision to terminate. You would have thought World War III had broken out. He convinced the choir that he had been poorly treated and they had been fired as well. He spread the rumor that we were getting rid of traditional, liturgical worship. The conflict split the church, and years later it hasn’t recovered. So, if you are a student of power and authority, I encourage you to develop your authority, and use power as sparingly as possible. It should only be a last resort. Otherwise you will put your church or your work organization at risk of losing some of your best people. As I said earlier, the use of power is always corrosive on relationships. In the twelve years since we sold the business, I have been learning to live into the posture of the servant leader. I’ve found this to be the most effective style of leadership I’ve seen for any organization. But, that’s a story for another day. These days, I eschew formal power. As a Christ-follower on a mission, the only authority I seek is spiritual authority.